James Patterson’s palms are sweating. It’s the Edgar award ceremony of 1977, the most prestigious awards in the genre. The winner of the ‘best first mystery’ is about to be announced. Patterson knows who is going to win. But up until his name resounds, he cannot believe it. James Patterson is an author whose books have sold more than 300 million copies. The first author to sell 1 million e-books, write 114 New York Times bestselling novels and hold The New York Times record for most #1 New York Times bestsellers by a single author, a total of 67, which is also a Guinness World Record. But he also had to face rejection and insecurity. 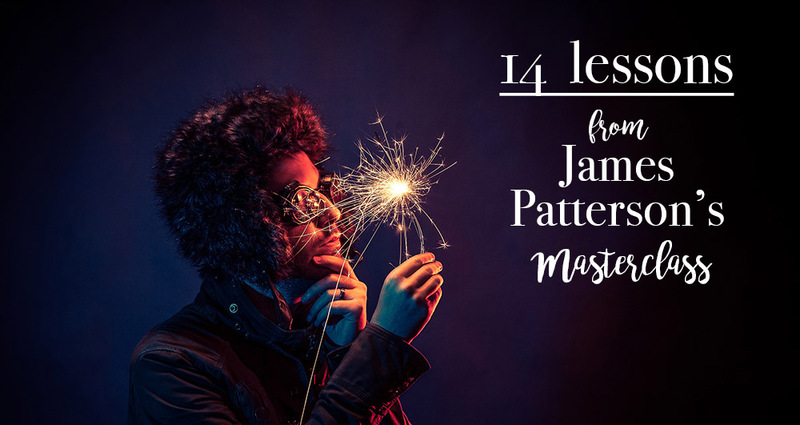 I took James Patterson’s Masterclass and summed it up to 14 valuable lessons authors can learn from his knowledge of the craft and his method of writing. In the videos, James came across as a grounded person. Straightforward, warm. Family always comes first for him, the relationships at home have priority. The positive change has to start with your house, he argues. His proudest accomplishment yet is his son. There is one thing he knows: How to write a bestseller. Essentially, completely new story writing ideas are rare or non-existent. What we perceive as new ideas are new connections between different ideas that we have at some point seen or heard. This means that instead, our mind combines knowledge that nobody had combined before. Take the film “Alien”. You know how it was pitched? As “Jaws in space”. This means, the author had a certain love for “Jaws” or monster movies in general and some knowledge of spaceships and decided: why not combine it? This is why Patterson argues: you need to increase your knowledge. If you have never seen certain movies, documentaries, read books on different ideas. Use travelling as a writer to places and learned of their history – how will you be able to combine lots of interesting topics into a new one? Creativity originates when we learn about lots and lots of new things. We need to “have a big universe of stimulation”. The more you know, the more you are likely to combine things into new ideas that are striking. Before James Patterson sets out to write the first draft, he writes a very detailed and plotted outline. Everything has to be in it: the character arcs, the villain, the set-ups and payoffs. He writes and rewrites his outline until he is happy with it. Only then does he begin to write the actual book. In fact, Patterson considers the outline to be the book already. He aims for people to read it and say: What a terrific story! It should have tons of promise. The reader should go: I can’t wait to read the scenes! And you, the writer, will go: I can’t wait to write these chapters! This makes the first draft a whole less daunting. You only face the blank page once – before outlining. Which is not very scary. So for James Patterson, the outline is what makes the book. On the other hand, he states that during the course of the first draft and editing, it never stays the same with his books. Still, you should be able to read the outline and go: I get this book! The next step for Patterson: sprint through the first draft. Allow yourself to write badly, do not review or rewrite. As hard as it may be: Shut down the inner critic. Also, give yourself permission to write TBD (to be done) on those scenes that frustrate you and you just can’t seem to get through. Skip them! Don’t torture yourself. With some scenes, Patterson has TBD on them for several drafts until he finally gets them and is ready to write them out. Such a simple and powerful weapon: Just tell the damn story. Don’t think about the sentences. Actually, don’t even write sentences. 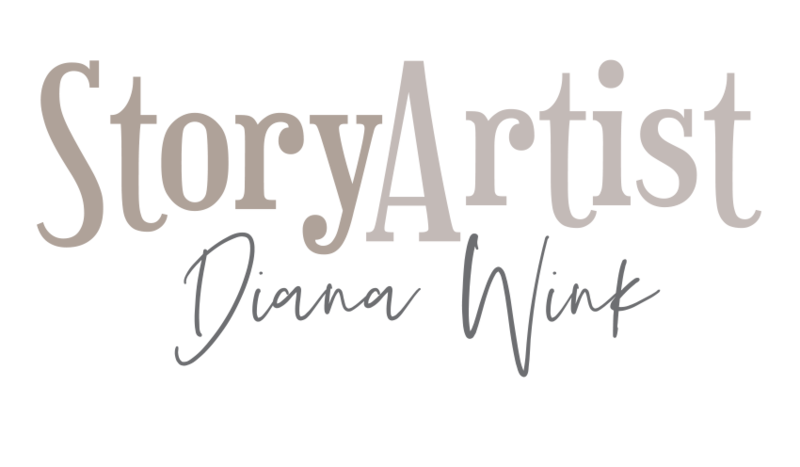 Write a story. Writers often tend to get obsessed with language, pace, style. But the story puts all of it in perspective. Tell your story, and the rest will follow suit if you do it right. Keep writing as though it was a movie in your head. Scene after scene after scene. The first chapters always get a lot of attention. Which is not wrong, because they decide whether the readers abandon our book. But James Patterson urges to write every chapter as if it was the first one. Give every chapter value. Put a lot of attention into it. Make it count. Don’t write a chapter that doesn’t propel the story. Everything you write has to move the story forward. Delete everything that readers would skip. James Patterson encourages writers to not just set out to write a good story but set out to write a number 1 story. Another interesting hack: If you’re smart, make the reader a woman. Women buy 70% of Patterson’s books. Patterson always writes notes to himself. Not just negative notes and critique. He writes helpful notes, those that encourage and motivate, things he liked about his writing, scenes that he nailed. But also those moments that need to be done in particular scenes, things that need to be changed and rewritten, added or deleted. Focus. You need to learn how to focus in every situation, on every occasion. This way, you will be a productive writer. You can use your focus skills to write in every situation, and use the time given to you: in airplanes, trains, busy cafés. You need to be able to concentrate on your writing. In a world where distraction is waiting on every corner, this is a skill we need to practice. Concentration is essential in order to get into your story. You cannot write and watch a movie at the same time. 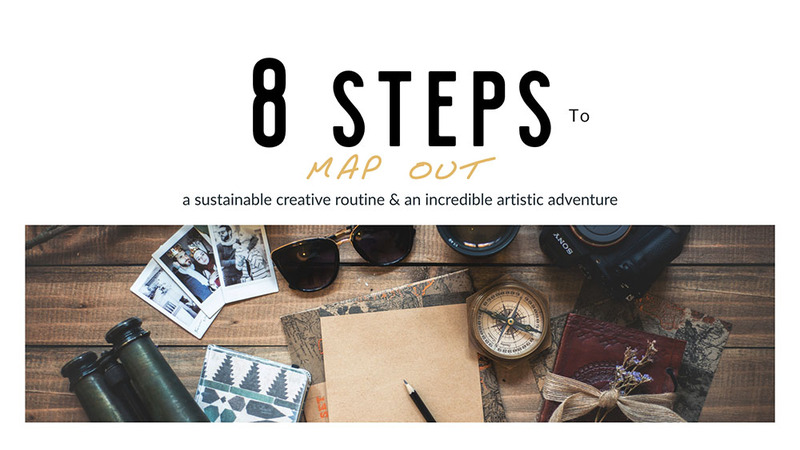 Instead, you need to get into the scene, be aware of the character, and get into the flow of writing. When you write characters, you need to evoke feelings. Make the readers feel. You need to get the emotional part of the character right, make the readers like them, love them, and this will get you over the bumps in the specific story details that sometimes might be inaccurate. How do your characters see the world? You need to capture the complexity of the moments, their thoughts, their doubts. Never make your characters flat or predictable. Show other sides of them. Make them round. A boxer might be ruthless when in the ring, but how is he when his daughter hugs him good night? For the readers to never forget your characters, you need to create an intimate relationship. Make them know your characters, from the inside out. Villains need to be clever and surprising. If the reader goes: “I didn’t see that coming.”, then it’s a good thing. Whatever your write in your story, dialogue, descriptions, action, it needs to move your story forward. Every chapter should move the characterization and the story towards the climax, because your writing is about story. If it isn’t, cut it out. You need to see, smell and be in the scene. Like a movie projector that you turn on every time you write. See it in front of your inner eye. This is where the POV also comes in handy. Think about which POV would make the scene most interesting? What’s the best POV? What will make it come alive the best? Use the senses to make the scene vibrant. Use sound. Also, always know what you want to happen emotionally in your scene or chapter. Especially if you write genre, you need to know it. Not to imitate though. But to avoid it. To avoid writing something that’s already out there. To avoid repeating the mistakes others have made. Instead, introduce something fresh and new, something that has not been written yet. Set up your story with questions that the reader MUST have answered. He just has to know. But never make the outcome predictable! If your reader can predict it, he will feel disappointed, mocked. Write in twists. Always stay open and try out things in your outline, things you wouldn’t have thought of in the beginning. Keep thinking the unthinkable. Think about it, maybe don’t write it just now. But then once in a while, allow it. Give the notion: Don’t assume anyone is safe. Everyone can be the target. The ending has to be properly set up. Hints need to be placed everywhere. It should be an “aha” moment. But never give away hints that make the readers see the ending coming. Mislead them. Be really aware of what you’re doing and how it affects the reader. This is a cat & mouse game: Imagine sitting opposite your reader and not wanting them to get up before the ending. You have to be a better player than they are. You have to outwit them. For the ending: Write down everything that could possibly happen. Then pick the most outrageous one of them that makes sense. The most outrageous one will be the best. After your first draft, you should delete everything that is not on point. Even if you like it. Especially your dialogue will need an edit. Break the edit down into parts and try to conquer one part at a time. Otherwise, it’s too overwhelming. While editing, don’t allow yourself to think that you’re making mistakes because you have to keep fixing things. That’s how it works. And it’s good that you polish your writing. Everything you write communicates to the reader. Descriptions. Words. They will make a mental note and wait for a payoff. They’ll think that you included it for a reason. You are the god of your universe, and the reader tries to make sense of that universe – so you better give it meaning. I love this picture of me and the reader sitting in a room, playing the cat & mouse game. Of me trying to outwit him, to hook him, mislead and wow him. It puts novel writing into a whole new perspective: with the reader in mind. This notion forces me to also think about my ideal reader. For some, it may be a child, for others a woman, a teenager, or a mystery fan. With James Patterson, novel writing suddenly becomes more than just self-expression. In fact, it seems that he always has the reader in mind when writing. Might this be the secret to writing bestsellers? In our distraction-filled world, it’s a challenge to hold the reader’s attention for several hundred pages. And whilst there are things we cannot control – a call, children coming home, water boiling – the challenge is to make our novels flow in a distraction-free way (no logical gaps, confusions, misconceptions), always pushing those questions that the reader just must have answered. Do you want to write a page turner and take your writing to the next level? Learn how to train your “inner movie projector” every time you watch movies or TV. Do creatives need a fitness journey? Super inspiring! I especially loved the point about art and page-turners not having to be contradictory in nature. This is something I’m learning more and more as I move into writing genre fiction. Thank you Kate! Yes, I think with our fiction we can achieve both: grip the reader with tension and touch on deeper themes of change and transformation. A great challenge to master this, I’m glad my post could inspire! What genre are you writing and have you already published anything, or are you on your first book yet? I write horror. So far I’ve just had a few short stories published, but I’m getting ready to launch my first novel. Thanks, will do. Keep me posted on your launch as well!